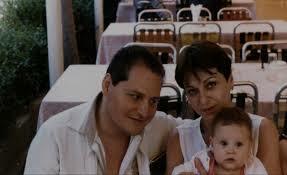 Magdalena Kopp was married to the most wanted terrorist in the world – Carlos “the Jackal.” She followed him through the birth of international terrorism, of which he became the star. From the small conservative Bavarian town where she grew up, to the 68’ revolutionary zeitgeist of Berlin and the radical leftist cells of Frankfurt, Magdalena was easily influenced. Driven by a need to belong, she found herself in the arms of the man who quickly became the first celebrity-terrorist in the world. She trained with Palestinian freedom fighters, fighting alongside their national heroes. She followed him into dangerous international intrigues, from Damascus to Bagdad and Paris, in a nebulous world of secret services and shady governments, and gave birth to their daughter Rosa on the way. When Magdalena realized that the political ideals were long gone, and only greed for power stood behind their violent struggle, it was too late, she was too deeply involved. For some, Carlos is a revolutionary, for others, a murderer. But for Rosa, he is a father – one she has not seen since she was five, one she only knows through the media. While Carlos stands trial in Paris, mother and daughter take a courageous journey beyond the shadows of his myth.